A legendary warrior, just waiting to be called into battle in this online slot! 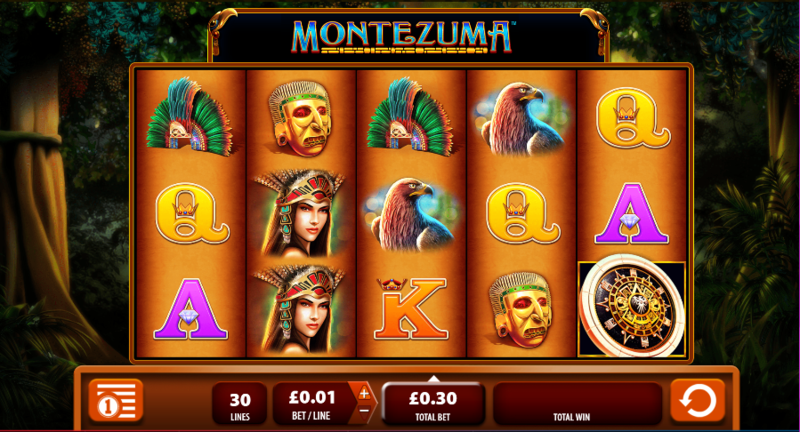 Montezuma is a slot that comes to you via WMS, a developer who time and time again have proven to be very skilled when it comes to crafting lasting experiences such as this one. This is a 5 reel slot, played out over 30 pay-lines. 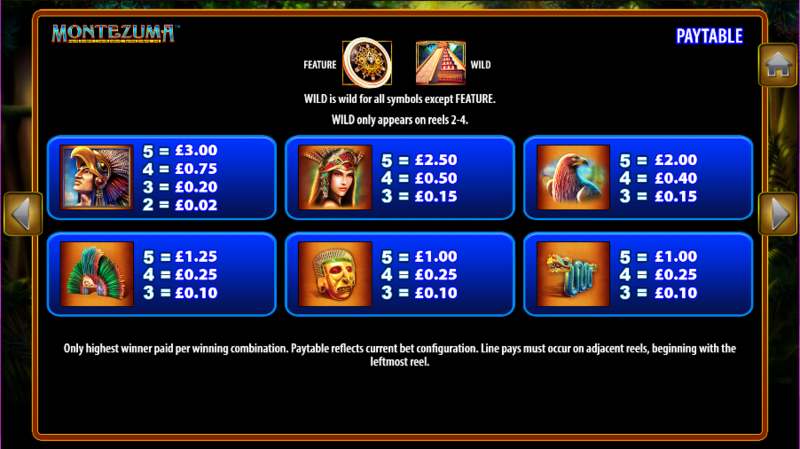 This is an Aztec themed slot, which is perfect for any of you history buffs out there who are looking for slots that fit your poison. You’ll be matching dream catchers, feathered caps and all sorts in Montezuma, which if anything is where this slot shines the most. Since this is a WMS game, you can expect there to be quite a lot of features to streamline throughout also, and you’d be right in that! We’ll get to those in time, but for now why not read on and find out more? Or you can just find out more about Easy in general! Play today and get access to all of our best promotional offers too! Wild: Wild symbols here will substitute certain symbols across the board, wilds substitute for every other symbol bar the scatter. Wilds are the most common additional features that you’ll find in this one! Free Games: The free spins is where you will accumulate the big scores. Why free games are so sought-after comes down to just how much money you can accumulate using multipliers that will throw scores high. Matching scatters will unlock these free spins in return. Montezuma is full of mystery, which is part of the reason why it is one of the more popular offerings from WMS as it stands at this moment in time. If you are in the market for a slot that comes with massive financial implications, then this will be the one for you. Keep in mind also that Aztec gold is priceless! Learn more games like Aztec Gold.